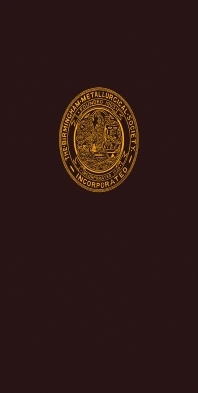 Metallurgical Achievements is a collection of papers presented at the Birmingham Metallurgical Society's Diamond Jubilee Session 1963-1964. Contributors review achievements in the field of metallurgy, paying particular attention to various applications of metals and alloys. Topics covered include the commercial production of some high-temperature alloys; the breakdown and repair of surface films on metals; welding problems with high tensile steel; and ultimate mechanical properties of solids. This book is comprised of 15 chapters and begins with an overview of electron theory, giving emphasis on the sharing of electrons to form bonds between atoms of a covalent type. The discussion then turns to some high-temperature alloys that are commercially produced; some post-war applications of light alloys; the significance of the properties of structural steel for the civil engineer; and some metallurgical problems of founding. Subsequent chapters focus on the use of nickel in nickel-base alloys and in steels; uses of high-strength steels; and uses of metals in architecture. Electrochemical methods for application and removal of metals are also described. This monograph will be a useful resource for engineers and metallurgists.